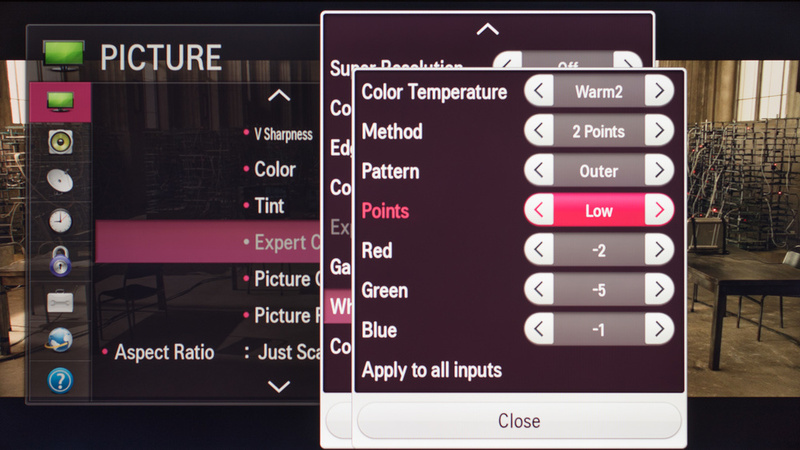 If you are watching movies, TV shows, or sports, set the picture mode of the LG LF5800 LED TV to 'Expert1' to gain full control over the calibration settings. For gaming, select 'Game' instead to get a lower input lag time of 49.6ms. 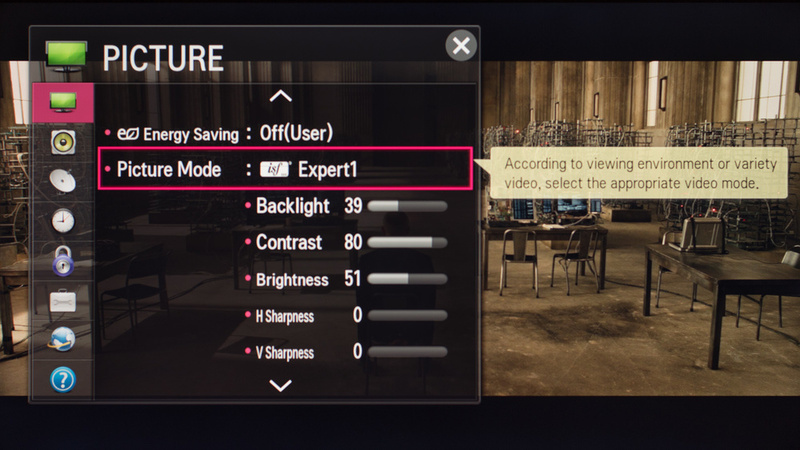 To make the screen brighter, increase 'Backlight', not 'Brightness'. 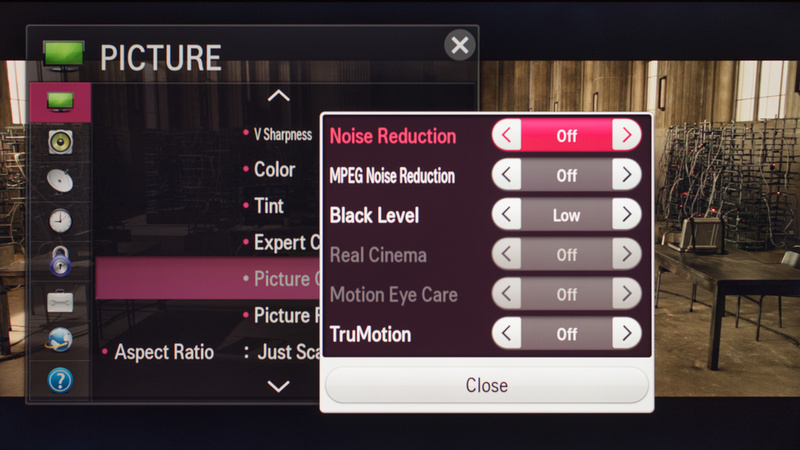 When watching SD channnels or DVDs, turn on 'Noise Reduction' to get rid of some of the noise. You might need to change 'Black Level' if you are sending a full 0-255 HDMI signal. 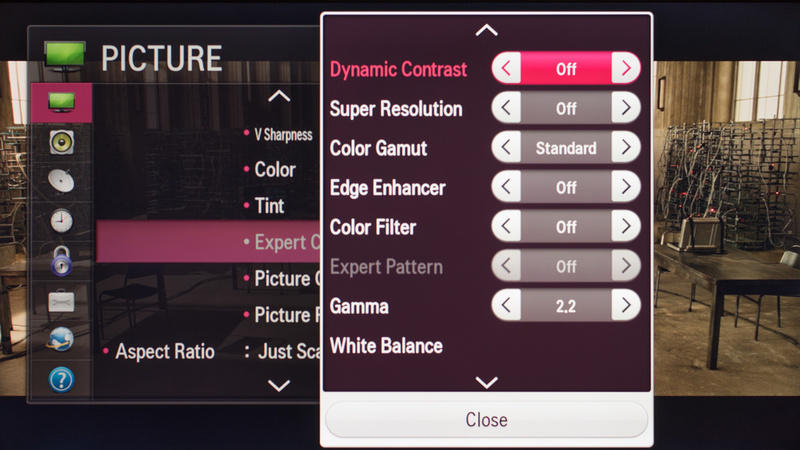 Disable 'Dynamic Contrast.' Otherwise, the picture looks too processed. Above, you can find the results of our 2pt white balance calibration.